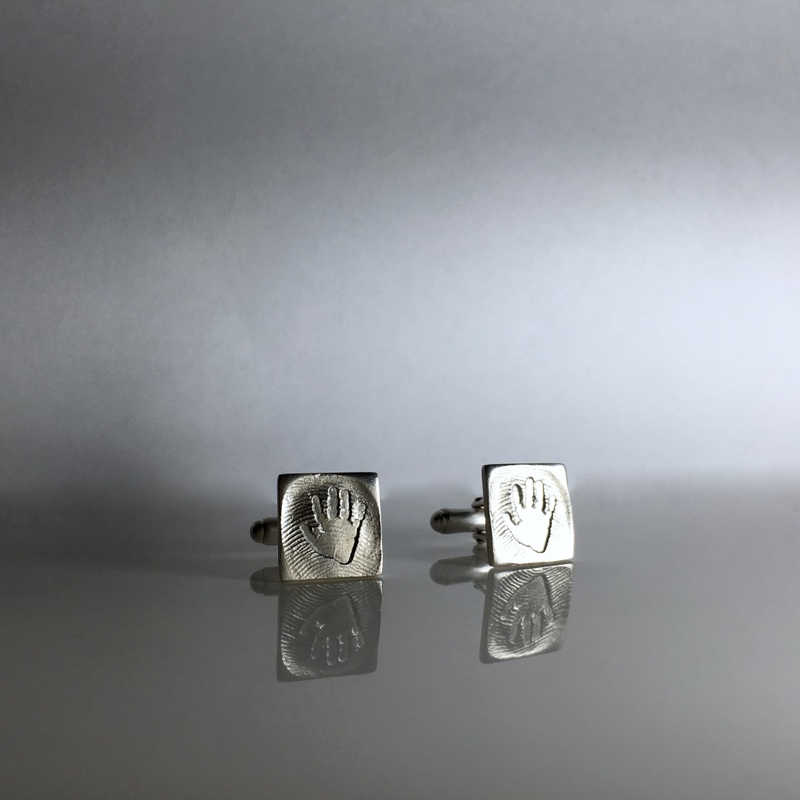 Capture the distinctive shapes of your loved ones handprint or footprint together with their unique fingerprint on fine silver cufflinks. 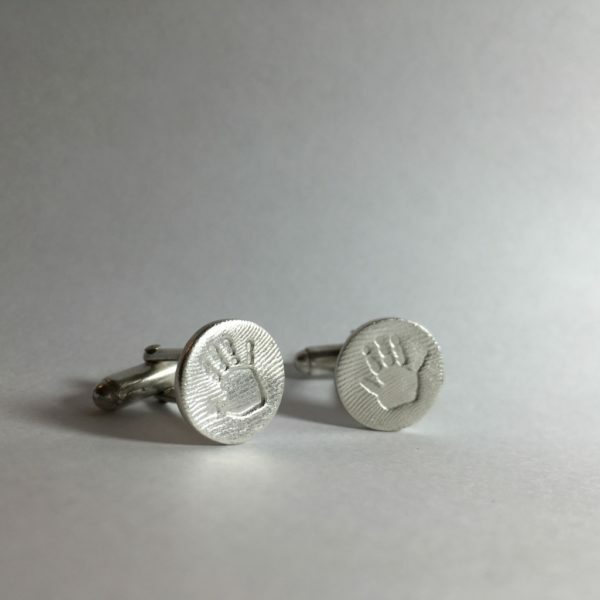 These cufflinks also work well with children’s handprints combined with their mum’s or dad’s fingerprint. Handprints and footprints are reduced in size capturing the unique lines and shapes. All our cufflinks are made from 99.9% fine silver, soldered with a sterling silver t-bar fitting. If you are looking for a shape that is not listed, please contact us and we will try our best to help. 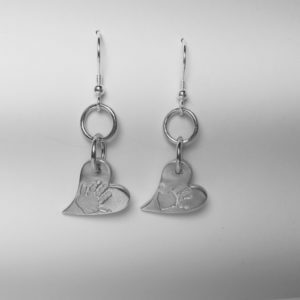 Please note that children under six months old and sometimes older may not have defined fingerprints. 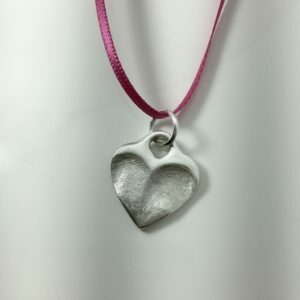 It is entirely up to you at what age you choose to take a fingerprint impression for a young child. 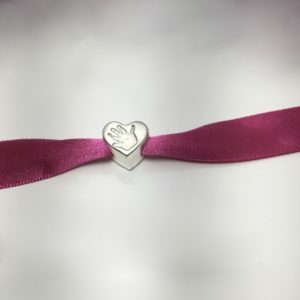 Many find that any impression is unique and special leading them to go ahead with fingerprint jewellery when the child is very young and capturing a lovely dimple. We will also include helpful instructions on how to take the fingerprints and handprints easily at home. 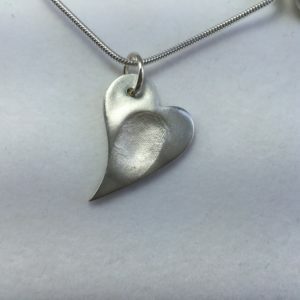 Please place the finished moulds and prints in the envelope provided and return to us so we can get started on creating your special piece. 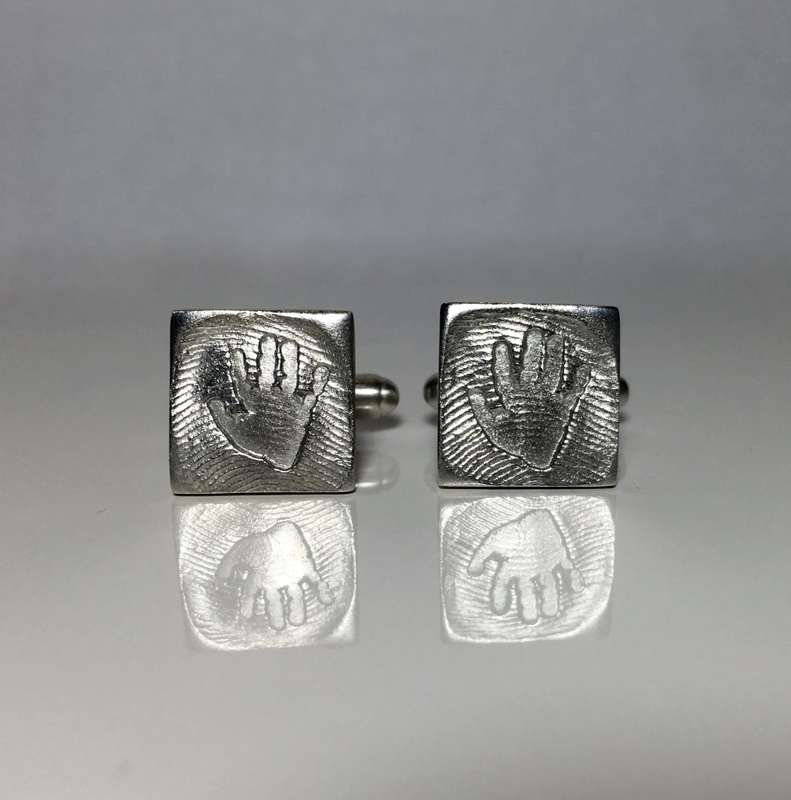 The finished cufflinks will be delivered within 28 days from receipt of your prints. 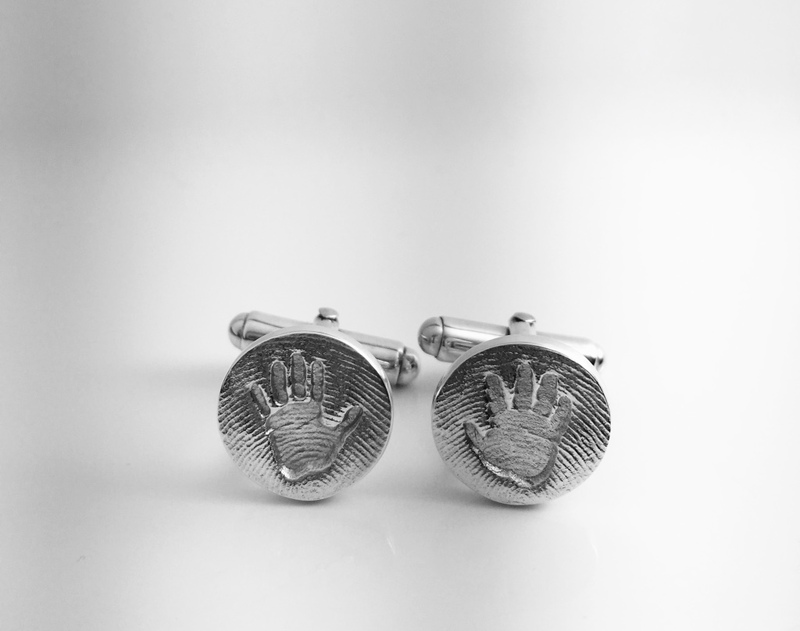 Our cufflinks are approximately 1.5cm – 2cm in width (shape dependent).